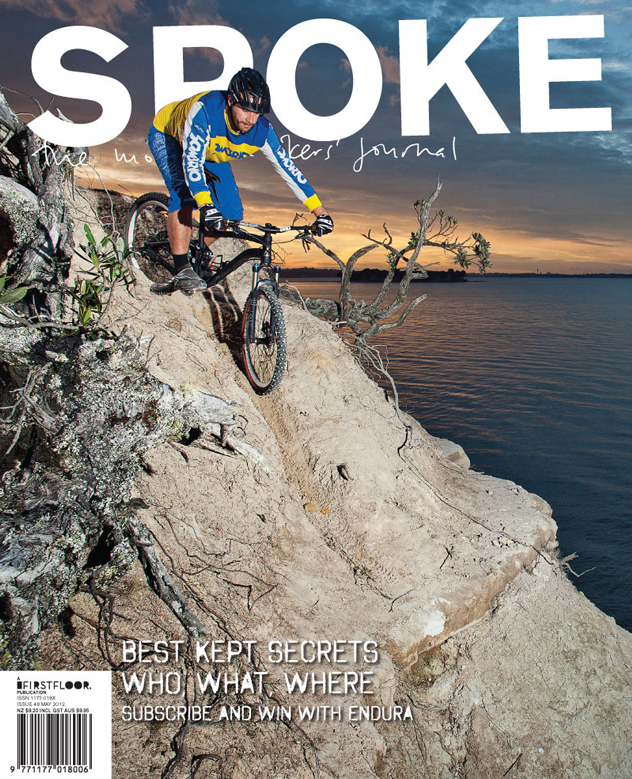 The latest issue of Spoke Magazine (#46) is available right now. In it there is a story about Switzerland (mainly the Zermatt and Verbier “zones”) that I penned and Mattias Fredriksson shot photos for. You can get hold of a digital copy of the magzine HERE or get a real life, inky smelling piece of relaxation and meditation HERE. “The journey started in the gentle kissing heat of Vancouver wrapped in a gossamer veil of sea breeze in summertime. Five hours later, on the other side of the continent, the rain fell heavy like a sheet of bloated winter rain. My connection was delayed so I spent the next hours starring out of a large window watching pools form where my plane was supposed to be sitting. My 38,000 foot fitful stupor was interrupted by a handful of pint-sized monsters and a meal that could barely be considered a snack let alone enough fuel to get across the Atlantic whether or not it was whilst sat on your arse. However, my particular train didn’t even get away from the station before there was issues. One hour of patiently waiting on a bubble of hope was deflated when the announcement was made that our train was kaput. A frantic run around with bag and bike box in tow ensued. Is this the train to Martigny? Ou est le train à Martigny. 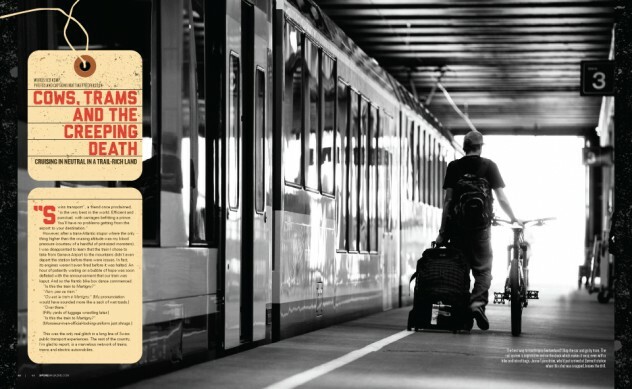 May 2, 2012 in SPOKE MAGAZINE.